A blog about food, accommodation and lifestyle for Malaysia and the world. The best places to eat, drink, stay and spa. 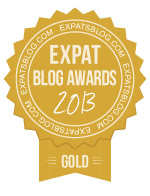 ExpatsBlog.com Expat Blog Awards 2013: Malaysia Gold Award! This blog won the Gold Award for best expat blog in Malaysia! 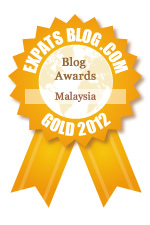 ExpatsBlog.com Expat Blog Awards 2012: Malaysia Gold Award! This is a fantastic website full of colourful, sumptuous and tempting pictures! The write ups are thorough, and accurate! These authors obviously take their blog seriously, put serious time into it and provide a value added service to foodies/vactioners in Malaysia!! Why shouldn't this website win? Really? This blog has been very useful. It has led me to the most wonderful eating spots around KL and Malaysia. I don't go out to eat unless I've checked The Yum List first. The Yum List is a great website with wonderful reviews and a wide variety of restaurants. Before leaving the house I always check The Yum List. The Yum List blogs are amazing!!! There are photos displaying the foods, which make it much more tempting. The food descriptions are very detailed as is the information on the restaurant/eatery. For anyone visiting Malaysia this blog would be so helpful - no nasty surprises! Love reading these blogs :) Beautiful! beautiful!! beautiful!!! I've gone to a whole lot of the places recommended when I'm in town and it's always been spot on :) Thank you "The Yum List"
The blog sure has lots of lovely pics and information. What I adored about it was that there is just so much of Malaysia and a little more to let others get an idea when they visit Malaysia. This is definately a 5 Star blog!! This blog is an outstanding resource for expats of Kuala Lumpur. It provides excellent reviews and suggestions for local eateries. The amount of choices in restaurants we have here in KL can be overwhelming, so this blog breaks it down into what's good, what the prices are, and where the restaurants are located. The photos are helpful too! It's the best!! I am truly indebted to the links as well as the reviews which we get on The Yum List. They have made many special moments very very special. The reviews and details are absolutely genuine and fantastic. If it not had been for the lovely suggestions by Monica, we would have missed at least half of the amazing places to eat or events etc. A personal vote of thanks to her. I love the Yum List! Monica adds new things all the time, including tips on where to stay. She has a balance of fine dining and just plain old good food! When trying to decide where to go out to eat as a family even my kids say "Mom - Check the Yum List!" You should too! I can get many info whenever I want to dine out! Their reviews cover most of the latest restaurant and hotels! Before we go out or away we always consult the yumlist...as it states, life is too short to waste on mediocre food! Why not make life easy and go somewhere tested and good??! Just take a quick peek and you will see what everyone is raving about. The Yum List has it all. Best food blog around. The yum list knows what good food tastes like! I always consult it for restaurant ideas when I'm traveling somewhere new. Keep the yumminess coming! Being new in Malaysia, this fantastic Yumlist blog helped us with our transition. This has become my source for good travel destinations, places to "makan" and almost anything needed for newbies in Kuala Lumpur. People would be surprised how I know so much about KL and more. The Yum list writes only about good eating places in the city informative and straightforward. Thank you Monica for a Brilliant Blog. Creme de la creme of the food blogs. Comprehensive reviews of food, travel and spa, not to mention the frequent interviews of renowned chefs, last but not least, the blog itself is a food exhibitionist. Marvellous mouth watering photos every time, without fail. Love to keep in touch with what's at the forefront of yummy things... in KL and around the country. So far it's been a real highlight of our cultural and social experience. Required reading for all my friends... YUM! Without doubt one of the best blogs in KL. It's amazing to see how the blog has evolved so much within a year! This is an amazing blog for both expats and travelers in KL. It has gorgeous pictures and the best food and wine suggestions in town! I would put this blog first on my list! I love The Yum List blog. Whenever we would like to try something new, I go to this blog first to see what is there. It has been very useful in our Chinese community in KL. The Yum List is my "go to" site when thinking about where to dine. I find it very useful, informative and helpful. I appreciate the photos that go along with the food. I love the details - from where the restaurant is located to specific plates! Thank you for the effort it takes to create and maintain this blog! I will continue to use it as my #1 choice of restaurant information for the Kuala Lumpur area! Great blog, plenty of useful ideas and always accurate! We always use it when planning our dining outs! The Yum List is the only reference I'd use to find a great place to go in KL. Monica is brilliant. The Yum List is beautifully photographed, written, and researched. As someone who has lived as an expat on three continents, I appreciate the thoroughness of the entries. It's a winner! Just reading this blog makes me drool! Keep up the good work! Just visited KL. The blog covers everything from five star restaurants to restaurants suitable for a family outing. Love the fact that prices are included along with the great pictures. Made where to dine out very easy. Great blog.Keep up the great work. I may not be an expat but I look forward to your recommendations as they have led me to some of the best eateries in town. Thank you and keep it going! Fantastic, Useful & Truthful Website with excellent recommendations lead by a great team :) Well Done!! A very elegant and tasteful blog. With the well written stories and the clear pictures they make me want to taste the foods at those places mentioned. Thank you, Monica. I love The Yum List Blog!One of the best food blogs.Double thumbs up from me :) As a food lover,i love going through The Yum List on where's the best spot to eat in KL and around Malaysia.Wishing Monica and her husband Caning every sucess and have a wonderful stay here in Malaysia. Hee all, I love the Yum list! Such great photos and clear descriptions of sumptuous food! And also travelling around and news on places abroad! So absolutely great blog! Advice to everyone who lives in KL to check it out! this is definitely the best blog on all things food and dining. keep up the great work !! One of the blogs that I visit frequently, for its comprehensive dining information and useful guide to try out the food scenes around Malaysia. Its the best foodie loving blog for KL, hands down! Fantastic Blog. The only reason I am giving it a Four stars instead of 5 stars is simply because more restaurants, hotels and spas should invite them over to do assessments and reviews. I find their candid reviews on service quality and overall standards world-class minus all the mollycoddling that we see from so many similar blogs. Recommended ! Great place for great ideas! great blog. well written with high res pics that make it all the more interesting. My guide to where to go? what to eat? This blog shows you the happenings not just in KL but around Malaysia. The blogger will only write the review if she's happy. If it's on the Yum List, you can bet it's yummy and fabulous! The Yum List is fabulous source of information on great things to do and visit. It also portrays the reviews in such interactive ways. Definitely thumbs up! Fantastic blog with amazing reviews, pictures and comments. For sure all the info you expect and need before you head out! Love it - keep it up! The Yumlist is a fantastic resource for any world traveler and I always know that following a recommendation from the Yumlist means having the best dining experience possible! One could seriously become very oversize if you were to visit even half the excellent recommendations in the yum list blog! Great work monika... Wonderful contribution to our lives Malaysia! The Yumlist deserves the Top Blog Award just Bcuz the blogger knows what good food tastes like and the travel reviews are superb as well. The insides that I get from reading this blog makes me wana visit the travel sites/ taste the food that is reviewed! Kudos...Theyumlist is trully Yummy!! Fabulous.. straight to the point. No nonsense which is why I love it! Excellent blog with a range of reviews from not just Malaysia, but around the world! This blog connects me to the beautiful country and people I shared my life with. My husband and I are grateful to stay connected to the richness of Malaysian culture. The Yum List is a 'Foodies Delight!' Kudos to Monica who has created & developed a gem of a blog for expats & travelers in Malaysia & beyond! A great eating and travel guide, with terrific photos to boot! Yumlist is great, Monica does all the hard work tracking down these great eating places and we reap the rewards. Keep it up Monica. Brilliant! The I refer to & recommend the Yum List to all my friends on a regular basis. Essential for vacationers. The Yum list is just what a city like KL needs. There are so many restaurants all over the city and the Yum list helps us decide which ones to go to for the most delicious, most enjoyable eating experiences! I use the Yum list every time I visit Malaysia as my eating guide. the Yum List is my fav go-to-blog on the most delicious places to dine ~ love the gorgeous visuals & spot on reccs! Proffesional,efficient,honest yet non obstructive. an example to follow by all bloggers out there! A must stop blog whenever we are heading out to try out new restaurants in Malaysia. Always up to date with the latest location to enjoy good wine and good food with good company! This is a very professional blog. Interesting, objective and with great taste and appreciation for good food! Yum List is wonderful! If I suggest a restaurant or hotel, my hubby's first statement is, "Only if they're on the Yum List!" Great recommendations, photos and descriptions! I'm addicted! Yum List is one of my favorite blog that I often check out when I am searching for some new restaurants to try out. Monica's blog covers a wide range of cuisine. When i am lazy to think of what to eat, i just browse thru the blog and find myself a nice restaurant. Coverage on the restaurant is genuine and well describe, which is good because i need not hesitate to try it out. The Yum List is fantastic blog for people like us who love to travel and taste good food around the world:-)I suggest to everybody to check it!!! Monica you well deserve the credit for the hard work and effort you have dedicated to Yum List. Monica is the best! She was one of the first people I met when I moved to KL and the Yumlist was my first introduction to the food scene in the city! She knows her stuff! Monica is doing a great job for the expat community. Thousands of food outlets in kl make it hard to figure out the good ones. The Yum List is full of excellent recommendations and never fails to give honest and comprehensive information. I love the fact that Monica strives to support those restaurants and establishments that practice sustainability. The Yum List has my vote! Super helpful blog especially for those new to KL. Thanks Yum List for pointing us towards Malaysia's best places! Monica is a fabulous foodie and we are so fortunate she shares her great taste with all of us via the yum list. If Monica recommends something, it is on my list to try! I've been following this blog for years. I love it! Excellent source if you enjoy food and adventure! Great variety for all kinds of taste and budget. With so many different places to go out to eat in KL, we never leave the house without checking out the Yum List first! The reviews are honest, incisive, illuminating and never fail to point us in the right direction. And because Monica is not content to rest on her laurels, the blog continues to get better and better. The Yum List is my go to list to find a new restaurant in Kuala Lumpur! (and around the world). With so many choices available in KL, the Yum List is an excellent reference for getting it right the first time. We read the Yum List to find out where to shop and dine in KL. Love the food photos! Makes me soooo hungry! Where shall we eat next time we go out? I better check the Yum List! When looking for yummy eats in KL most expats and many locals also check The Yum List! Full of great, reliable suggestions! Thanks and please keep it up! Great Blog! We check Yum List if we want to try a new place to eat in town or when we travel. The recommendations have never let us down! Thank God for the Yum List... it takes the guessing out of dining out! Anyone that lives in Malaysia should look at this blog. It is an incredible ressource. Great site for finding great places to eat, stay and relax! I've even recommended it for people coming to visit just to try something new. Thanks Yum List for all the great foodie Malaysia tips! I was thinking 7 stars not 5. Whenever we need to shake up our dining experiences and try something new, we always check out the Yum List. We love this site! We use it to find all the latest and greatest restaurants in KL. It's spot on. So many of The Yum List restaurants have now become our favorites in KL. The website is stress-free; it's so easy to navigate around and find what you're looking for. The photos are beautiful and the reviews make you want to run out and try the restaurant right away. It's simply the best! We always check the Yum List before heading out to dine. Monica's photos and menu descriptions are so appetizing! From 5 star dining to the best stalls, the Yum List covers it all. This is the most comprehensive guide everyone needs! I love the recommendations from western to eastern dishes, from expensive to cheaper options, from north to south of the country. This is the blog to go to! My family and I use the Yum List all the time. Sometimes we check it from the car on our way out to dinner. We have no plans and just hit a place on Monica's list. It's great EVERY time! This is a great blog. Congrats to Monica Tindall! I have armed myself with two things this year, to get myself out of my usual restaurants close to home, and discover new areas in KL. This blog The Yum List and my GPS. With these two you can get out of your comfort zone and explore! This is the best go-to foodie blog for expats in KL... easy to navigate, honest reviews, photos, and frequent updates. With the leg work already done, we've tried many new places thanks to the Yum List! This blog has great recommendations for KL dining. It's also great to check before going on a trip - as it has restaurants from many other places as well. Great photos and writing! All you need to do is check out the blog once. You will keep coming back to check the frequent updates and wealth of resources. It is a must for anyone living in Malaysia. This site is the best food site in KL. There is something for everyone. I love the way that Monica describes her experiences. The range of food experiences is superb and I misquote Samuel Johnson, resident of another great city, to say, "When you are tired of eating your way through the Yum List, you are tired of life." Great blog with invaluable information for a superb dining experience. Well worth a look at and trying out the different and various places to eat. I started to follow this blog several years ago and I loved it. All my Chinese friends loved Yum List blog too. As a 'newbie' to KL this blog has been really helpful! When, after 4 weeks in town I had to take a visiting friend who is a restauranteur out to dinner, I knew where to turn. The photos are amazing and mouthwatering, the reviews are honest and accurate. If it's on here and recommended, you should try it. I also love that she includes the little extras that happen from time to time, like the Peruvian food festival, that I would never have known about otherwise. I look forward to many more years in Malaysia, eating off the 'Yum List'! Yum List is the one. Great variety of venues and places reviewed and with great command of words. After reading the critiques and seeing the great visuals you want to go and check it out - like yesterday! This blog has been a godsend for dining out in KL. Monica has done all the legwork for us and we get to enjoy the fruits of her labor. Thanks Monica for taking the guess work out of fine dining. I rate the Yum List. KL is well known for its food but this helps find those really great experiences. I need to use the site more ... I'm worth it. The Yum List blog gives essential dining ideas presented in an exceptional artistic design. The blog's photographs not only invite the appetite, but elevate the spirit. This blog is wonderful. The Yum List is a fabulous website for great eating places around KL and Malaysia! The displaying photos are absolutely tempting too! We always check this blog out before deciding where to eat. I can't wait to see the Yum List next post! It is yummy.. Thanks Monica!!! I pass so many of these restaurants all the time and would not have thought to stop in if it weren't for your reviews. I will definitely pass your link on to my friends. The Yum List does a fabulous job of finding high quality restaurants; the descriptions are thorough and mouth-watering, and the reviews are enticing. A job excellently done! We love the Yum List and know that if a place is mentioned on it, we better go because it is going to be GOOD! I have been introduced to many fantastic restaurants in KL thanks to the Yum List. The pictures of the food are enticing and the reviews are spot on. If you choose a restaurant from the Yum List you know your dining experience will not be a disappointing one! Monica may not be Malaysian but she sure knows her food like a local. I still remember visiting a restaurant in the middle of nowhere after reading her review and it was a delectable find; I was very surprised The Yum List featured that eatery as it was very off-the-beaten-track and if they weren't serious about making great new gastronomic discoveries, it wouldn't be in their radar. Two thumbs up! Choosing where to eat in KL can be an overwhelming task and the outcome is not always successful. The Yum List has already narrowed it down for us! they offer us a very diverse list of only great and safe options. You can't go wrong with the Yum List! The Yum List is the quintessential blog to find out what is going on in Malaysia. Monica is always recommending the best places and has an incredible writing style and gorgeous pictures. There is everything you ever need to know! Fabulous blog! This blog reminds me of that famous credit card commercial where the slogan is, "Never leave home without it." Monica has passion for food and she writes it in such a way that makes you feel as if you are enjoying the food yourself :) Whenever I run out of ideas of places to eat, I know where to go...... The Yum List! I run over 50 restaurants and normally prefer a sandwich at home when I am not at work....... However, whenever I want to have a bite in KL, at least once a week, I will always refer to Yum to find a great meal. Never been wrong once!!!!!!!!!!! The Yum List always presents it's updates in an attractive format. Attention to detail and content is consistent and always dealt with integrity. Monica's posts always make me yearn that I lived in KL so that I could try the fabulous food she keeps raving about. Luckily, she gets up to Penang where I live and lets me know what's delicious here. Her photos always make me drool, and she's supportive of other bloggers. Monica has done a fabulous job with this blog. The information, photos, and tips are definitely helpful when I am looking for a different culinary adventure. The Yum List is truly a fantastic resource that lists all the wonderful food that you find around (not just in KL). Yummy food is always appreciated: it often gives you a sense of being home away from home! The numerous restaurants (and even the "Eco Yums") are just fantastic to refer to. Geez, I am just getting hungry by looking at all the pictures. Highly recommended to all who are interested in travel and food! Best food blog I have read and the restaurant's I have tried that the yum list has reviewed are always spot on .best expat food blog for sure. Amazing blog featuring the best of the best in KL and Malaysia. ;) With beautiful photographs and a warm and endearing personal writing style, this blog is very interesting, relatable and enjoyable to read. Thank you! The Blog is very simple and simply beautiful !!! I love to follow new posts. Well done! The go-to guide for expats and locals looking for extraordinary dining experiences! I always check the Yum List before hitting the town. This lifestyle blog has everything going for it to win the Expats in Malaysia Blog Award. Whenever I travel, it's my go-to place to find out about food and accommodation in the area, especially if I'm traveling in Malaysia. Kudos to Monica for all her hard work! I am so glad that we have a blog site that we can trust totally and is so tuned to what we all love to eat. It's a vital part of life in KL, eating, and as there is such a variety, we need help sometimes in deciding where to try next. Thanks for providing that. This blog one of the best useful blog. most wonderful eating spots around KL. checked The Yum List and then try the advice. A newcomer to KL, the Yum List has been such a great reference guide and must read when planning our ventures out into the city or even our vacations around Malaysia. It is such a great resource with loads of helpful information and tips. This blog is totally awesome! It helps a lot of people to find the most astonishing restaurants around KL. Love all the pictures that they put on their blog! its makes a lot of people tempting straight away by just looking at their photos. the best blog of the best ! The Yum List has been a source for me both as a local and a tourist. Always reliable, great detail and fab photos. A clear winner! The Yum List is a great resources with great tips and reviews and a good selection of restaurants. Keep up the good work. Ive been following The Yum List since it started and love it!! No frills straight to the point honest comments which I can always trust. Go Monica!! Such an amazing blog! So informative! I like to consult the Yum List for choosing the best restaurant for special evenings. Thanks to Monica. This is an excellent blog.. Has been very useful and always spot on for me!! This blog ABSOLUTELY has what it takes to WIN your Expats Malaysia Blog Award. Always honest and super informative. Have followed this blog pretty much since it started and love to go to resturants and hotels which Monica has reviewed. Keep up the great work "The Yum List", LOVE IT! This website is an indispensable tool for anyone who lives in KL for self or visitor entertainment purposes. If I am going to deal with road navigation, traffic, and parking, I want to make sure my dining experience will be positive. This website makes that possible. I vote a big YES! I always check The Yum List before I travel in the area! I am never disappointed by the tasty recommendations! An amazing resource for expats. The organization of the blog makes it so simple to do a last minute search for a meal. I always check in on the Yum List and recently organized a group of friends to go to one of the recommended restaurants. The restaurant was fabulous and we had a great evening. Thank you, Monica! Even if I'm not feeling hungry this blog always gets me salivating. I've had some great tips - thank you! Yum list has the best choice of the restaurant and food ranging from hawker fare and 5 star hotel fine dining and most importantly the detail information given is very accurate as it what you will expect when you dine in. It is not a good idea to read this blog on an empty stomach. This blog has become an essential resource to us before we make any dinner or weekend plans. Great blog with useful and honest reviews. The Yumlist covers the entire spectrum: food, hospitality, relaxation with excellent photos and well-written reviews. A high-quality lifestyle blog that's indispensible. Love the Yum List! It has wonderful, colorful, vibrant photos and spot on information. Look no further as the Yum List has it all. Food is a huge part of travel. I often read the Yum List planning my next culinary adventure. As a fellow foodie; the Yum List rocks! I think this blog is just fantastic, precise and super useful.... I've come to rely on it a whole lot for suggestions! And it's not just the expats who use it anymore! Well done!!!! Love the thoroughness, images and how current the blog is. It's great for learning what's new and as a go to place when making food and holiday decisions! Simply the best expat blog! Monica is very resourceful and always spot on. Keep it up, The Yum List! Our go to place for KL food reviews. Monica does a fantastic job & has impeccable taste! Thanks Mon! Well done! A service to the KL community. I have been following Monica's blog for several years now and I love her frank and honest comments on some of the best places to eat! I have never been disappointed in her reviews and I am thankful that there is a huge variety in terms of places, prices, etc. Monica & her team at The Yum List provide travelers to & lovers of Malaysian culture & cuisine a sensual, fulfilling reminder of all the wonderful things Malaysia has to offer. I have looked at numerous other blogs but inevitably come back to The Yum List for the 'real deal'. Monica seems to have her finger on the culinary pulse of KL and a real appreciation of what it is to enjoy this amazing culture. 5 stars isn't enough!!! A great guide to great dining. What more could a hungry traveler ask for?! I really enjoy reading The Yum List blog. Full of great information on the best places to it. Also love the pictures! Thanks! I think this is a blog I have followed for a few years. I find it up to date, objective in her review and the pictures are good. This blog is easy to read, great pics and descrips of the best places to visit and indulge. I always recommend this blog to my friends visiting KL. I love the Yum list.! I was lucky enough to show The Yum List around all my favourite Sydney dining spots & the reviews were fantastic! I look forward to my next trip to Malaysia to try out some new and wonderful places I keep reading about! Good luck, you deserve the win!! The Yum List is great, always great to find inspiration on new places to eat!!! Yum List is Brilliant! Def our go to guide for all things new and delicious in KL & beyond!